Well it’s official, the bathroom makeover has started and there’s no turning back now. 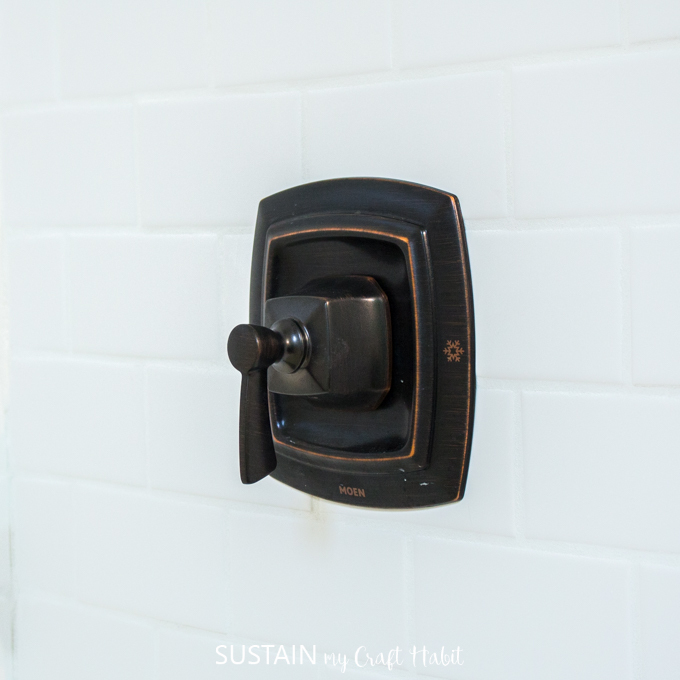 Although it feels like a long road to the final reveal, there is hope in knowing that we’ve gotten through one of the biggest challenges of the renovation. 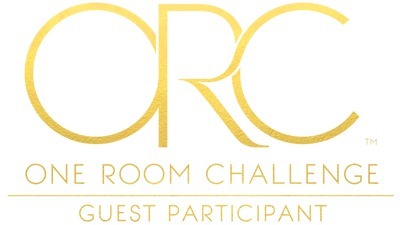 Welcome back to our Spring 2019 One Room Challenge project! 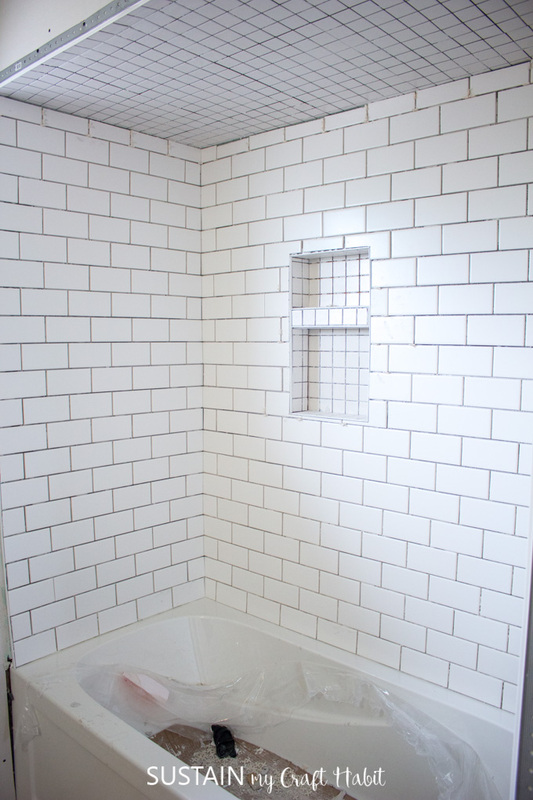 Our bathroom is still in a state of chaos but we are relieved to once again be able to take showers! 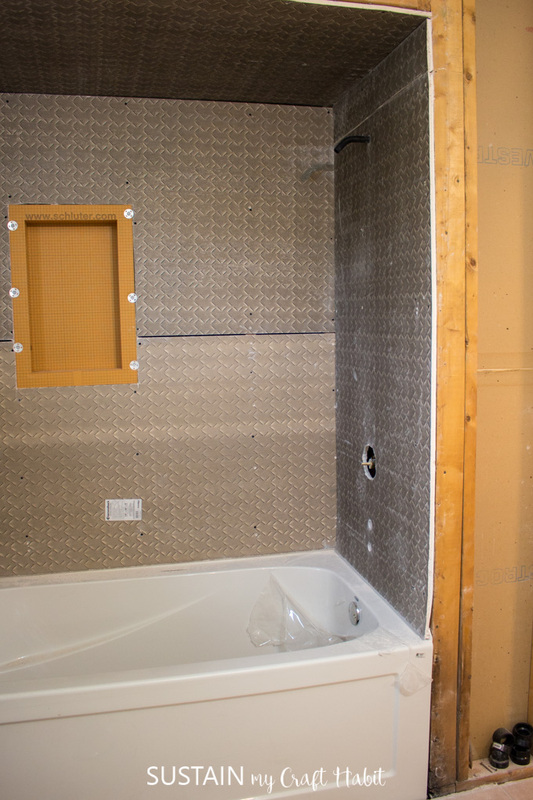 As I mentioned last week, this is the one and only shower in our four bedroom, three bathroom house so there was a lot of pressure to complete the tub install as quickly as possible. 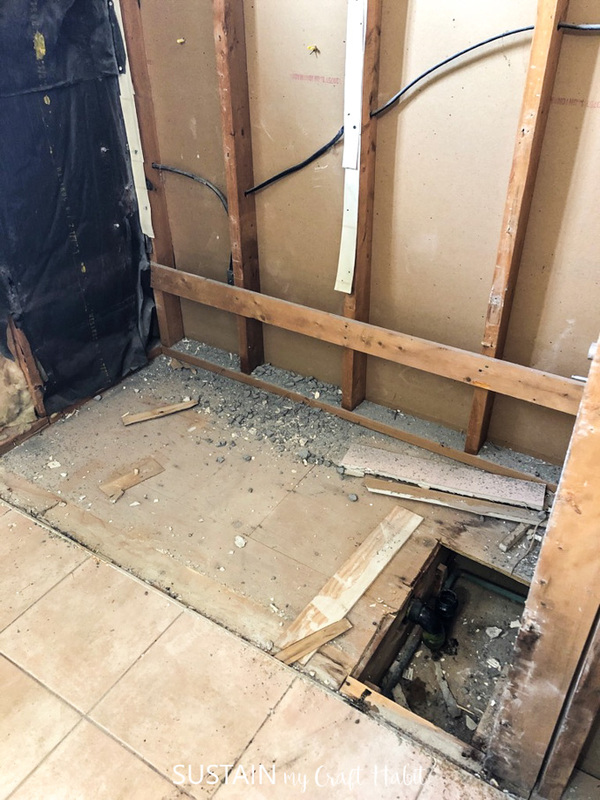 After demolishing the previous tub and shower, the plan was to install a new deep soaker tub and lay modern white subway tiles for the surround. 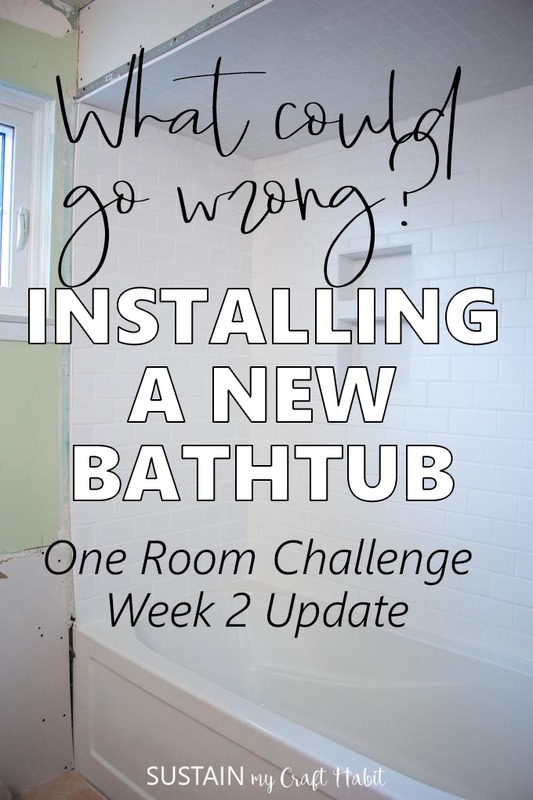 For all the before photos and design plans, you can check out last week’s bathroom remodeling ideas post. 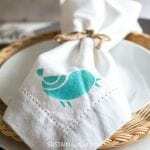 Overall, we’ll admit the project was waaaay more involved than we expected with a growing list of issues we were faced with. In case you’re wondering “what could possibly go wrong?”, let me give you some examples. 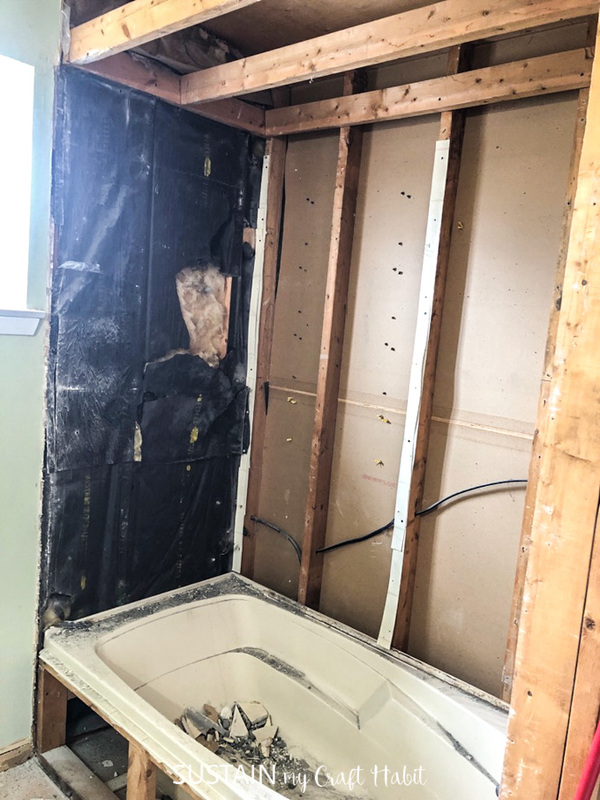 From the new tub not fitting in to the nook…to us needing to remove the drywall from the adjoining bedroom to level the tub…to the pipes leaking, we definitely had our doubts this project would ever get finished! Here are some pictures of the progress along the way. 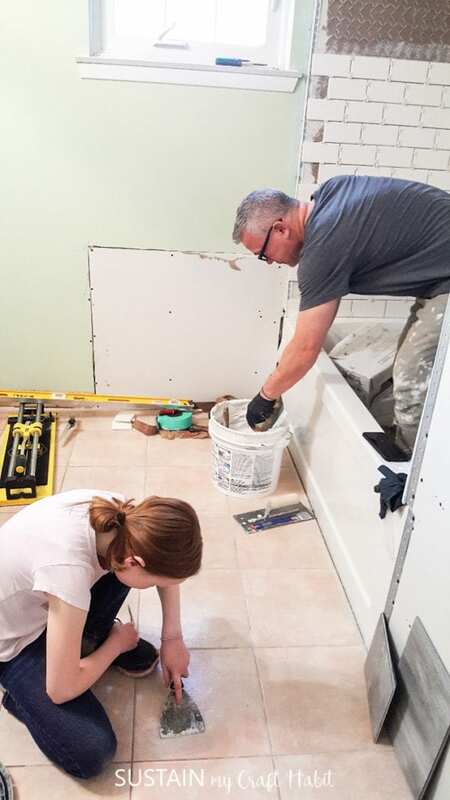 Now that this phase of the project is finished, we can focus on prepping the walls with new drywall, mudding and painting and then on to installing the new luxury vinyl floors over the existing ceramic tiles. Maybe that final reveal isn’t that far out of our reach? Just maybe.